In this Borheierh Lowe-created, Hungry man-produced commercial for Unilever, we see what it would be like if our bad breath had the ability to speak. The results aren't pretty. And they can truly ruin a situation that's supposed to be epic and bad breath-free. The spot does a nice job making its point. We've all been in situations where bad breath unleashes its stench but we usually don't say a word. Here, the reason behind the bad breath is fully explained. Though, sadly, it doesn't get the guy the girl. Young & Rubicam NY got off easy creating this new commercial hyping the NHL Playoffs. More correctly, the copywriters got off easy? How? There's no copy in this commercial? Why? Because there are no words to explain the feeling of winning The Stanley Cup. And we have no words to describe how beautifully eloquent this spot is. Oh wait. We just did. Sorry. The commercial consists of a collage of clips showing those who have won The Stanley Cup searching for words to describe how they feel immediately after winning. Come to think of it, saying nothing is much better than saying anything at all. Barring a few exceptions, when most athletes open their mouths after a win, they spout the same boring platitudes over and over again. Kudos fo Y&R for not going down that lame path. Damn, we need to stop talking lest we be accused of ruining the moment with meaningless platitudes. Captain Enchilada Sauce. Chicken Woman. Flex Tortilla. Crunch Boy. Super Reduced Fat Sour Cream. Commander Seasoned Beef. Fantastic Rice. Incredibean. Steak Maximus. Dr. Steve Value. And the Fortress of Flavor. Yea. It's the Super Delicious Ingredient Force from Taco Bell. Their mission? To rid the world of "minuscule meals of mediocrity" from the "Cruddy Combo Clan." 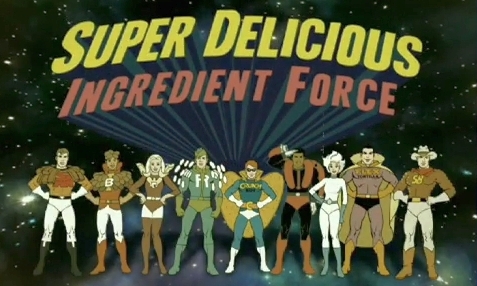 Complete with an El Camino, the SDIF races to the "cruddy cuisine crime scene"
Complete with the Six Million Dollar Man sound effect and super hero PSA, this work from DraftFCB Chicago hits on every last metaphor and meme. Episode one is here. Future episodes can be found here. We love it. But those site rollover sound effect get pretty annoying after a while. SureMen has launched a football (soccer) sweepstake promotion, SureMen Last 8 Sweepstake, which offers football fans the chance to win cash if their chosen team reaches the World Cup finals in South Africa. 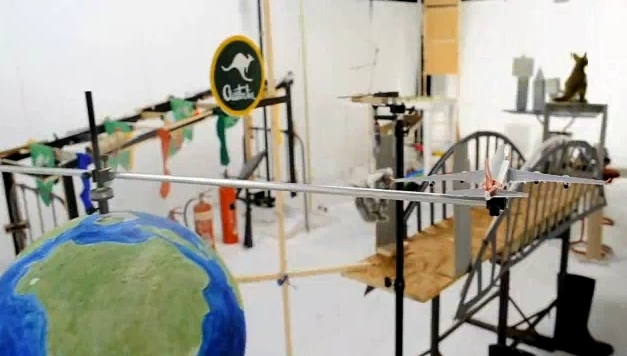 Touting the product, SureMen teamed with model maker Andy Gent to create yet another Rube Goldberg-style machine. The machine follows a football which makes a journey past a host of landmarks, representing some of the 32 nations competing in South Africa. 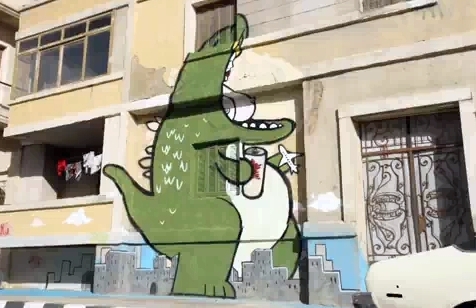 References from previous tournaments make appearances throughout the video, as the football knocks over the leaning tower of Pisa, dodges Spanish bulls, and sets Godzilla trampling down a series of skyscrapers. Damn! If CPR were demonstrated the way Fornight Lingerie does in this video, I might actually have remembered the details. No wait, I wouldn't have remembered anything at all. Except for life long memories of ultra hot, lingerie-clad beauties seductively demonstrating the gentle nature of administering the life saving technique. Of course, after viewing this demo, an entirely different form of compression will be on your mind.